Enjoy bright images in many everyday settings with the Panasonic PT-LB423U 4100-Lumen XGA 3LCD Projector. Its 4100 lumens of brightness and 16,000:1 dynamic contrast ratio will work together to overcome light in moderately bright rooms and provide detail in dark areas of the image. It sports a 1024 x 768 XGA native resolution for viewing detailed video, pictures, or data. The projector's 1.48 to 1.78:1 throw ratio offers a wide range of throw distances for focused images. The PT-LB423U features HDMI, RCA composite video, and two VGA inputs to connect to nearly any device. Its analog audio input and output will allow you to pass sound through the projector to your sound system of choice. The projector is controllable via the included remote control, Ethernet, or RS-232 with various control software options. 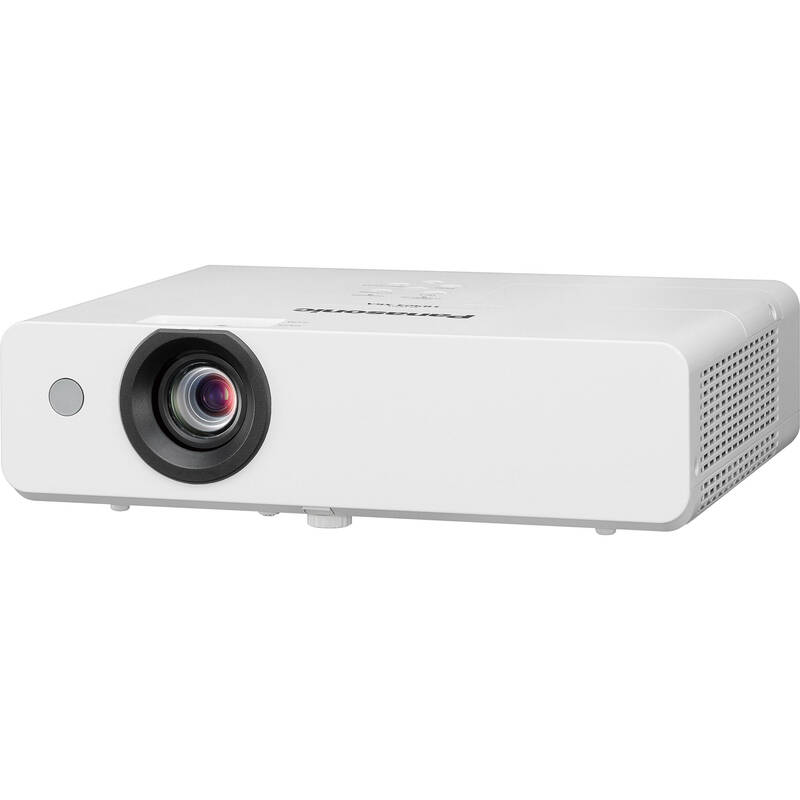 With 4100 lumens of brightness and a 16,000:1 dynamic contrast ratio, this projector will produce an easy-to-see image in many lighting conditions. Daylight View Lite uses sensor information to enhance the color and brightness according to ambient light levels. This function is conveniently accessed using the included remote control. With an operating noise as low as 28 dB in Eco2 Mode, distractions due to a loud internal fan are reduced. Select a lamp power mode to suit your presentation style and efficiency requirements to achieve high performance at a lower cost. Lamp and filter replacement timing is the same in any mode, helping to further streamline maintenance procedures. If on-site conditions require off-center projection, simply designate four screen corners, and Horizontal and Vertical Corner Keystone Correction performs the necessary adjustments to minimize distortion in your image. Curved Screen Correction is designed to easily correct barrel and pincushion distortions when projecting onto a curved surface. The PT-LB423U has a 1.2x zoom lens to support a variety of throw distances. This is useful when presenting in rooms of different sizes. In fixed installations, the Multi Monitoring and Control Software helps make management of multiple projectors easy from a single computer. The integrated wired LAN port supports the PJLink protocol, while the serial port is RS-232C compatible for remote control. The lamp and filter are accessed via panels on the top and side of the projector, expediting periodic maintenance, even with the projector attached to a ceiling-mount bracket. Insert a USB memory device into the USB port and start projecting content without connecting a computer. Transmission of A/V content via a Windows computer to the projector is supported over a USB cable with the USB Display Mode. Transmit Full HD video using the HDMI input, or view computer graphics through either of the two VGA inputs. A VGA output is also onboard. Project media wirelessly from a computer using Presenter Light or a compatible third-party application for iOS and Android devices. Just connect the optional ET-WML100 Wireless Module to the projector's USB input. Box Dimensions (LxWxH) 17.6 x 17.3 x 8.0"